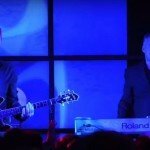 Lacrimosa will celebrate their 25th band anniversary with a brand new studio album on which the band has been working since January 2015 with the support of a 60 headed orchestra. The new album will be released on 06 November 2015 via Hall of Sermon / Sony Music. Directly after the release of the new album, the band will be on tour until mid-2016 which will bring them to Russia, China, Taiwan and Japan and 9 Latin American countries. The tour will end in Europe. 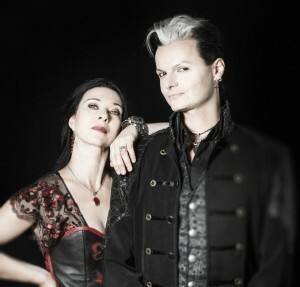 Lacrimosa is a gothic duo led by German Tilo Wolff, the main composer, and Finn Anne Nurmi who joined Wolff in 1993. 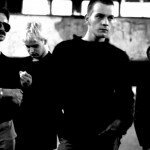 The band was originally formed as a solo project in 1990 when Tilo Wolff released a tape called “Clamor” using the band name of Lacrimosa. The year after he founded Hall of Sermon, an independent label which since then has been publishing Lacrimosa’s records. They are currently based in Switzerland.